The 3GS stands unmatched when it comes to music and video player capabilities. The impressive touch screen and intuitive navigation allows easy scrolling through lengthy song lists or browse your music collection with the Cover Flow view. The iPod menu by default has shortcut icons for Playlists, Artists, Songs, and Video; however, you can swap these for Podcasts, Albums, Audiobooks, Composers or Genres. It supports MP3, AAC, Audible, Apple Lossless, WAV, and AIFF audio files, and MPEG-4 or H.264 video files. As to be expected, it does not recognise Windows Media file types such as WMA audio or WMV video. The handset's audio quality and EQ enhancement features are good enough to make your existing MP3 player redundant. 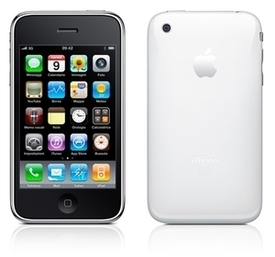 The iPhone 3G's almost perfect set of video features including video podcast, a dedicated YouTube player, auto-bookmarking and full-screen resizing. The iPhone 3Gs video quality offers no surprises, and is one of the best you'll find on a mobile phone.